When initially installing/configuring ScaleIO in a VMware environment the creation of a storage pool and adding capacity to it is included in the setup process. Obviously every time you want to add a storage pool, add capacity or simply create a new volume you don’t want to have to run the setup process again–that would be silly. And of course you do not have to, nor should you. So how do you add more capacity without adding additional nodes? Let’s find out! 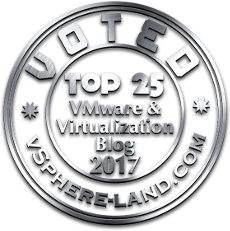 My current environment has four ESXi hosts and one SDS/SDC VM per host (my SDCs and SDSs are the same VM in my environment). 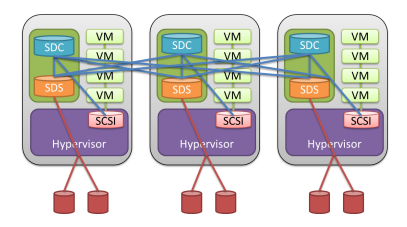 Each SDS currently has one virtual disk using the full capacity of a VMFS on top of a physical disk. 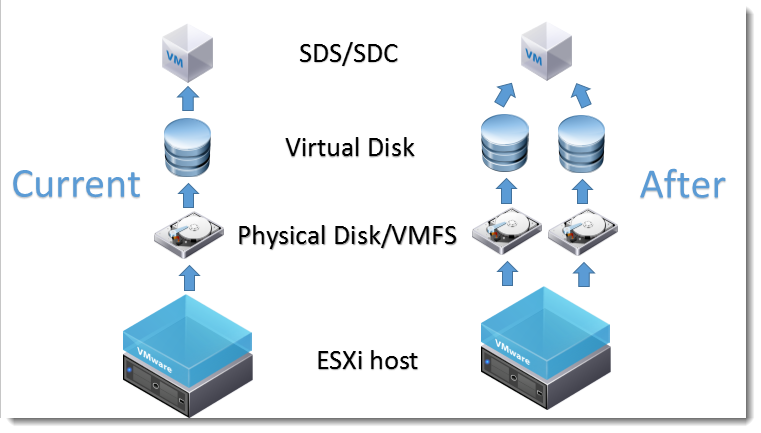 The plan is to double the capacity of each SDS by adding a new physical disk to each ESXi host and presenting the full capacity (minus the space on the disk reserved for VMFS metadata) via a virtual disk to each SDS. 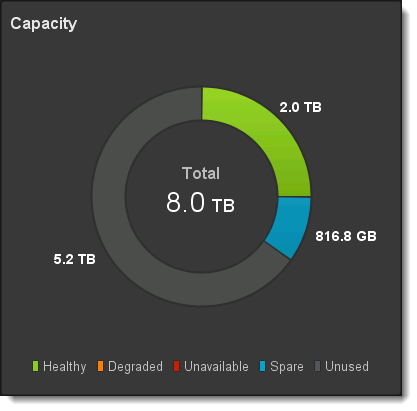 The below image shows the current environment for one ESXi host and also how it will look after the capacity is added.